Grave Mistakes: Charles was washed overboard during a hurricane in the Indian Ocean. The adventures of two grave hunters! Charles was washed overboard during a hurricane in the Indian Ocean. 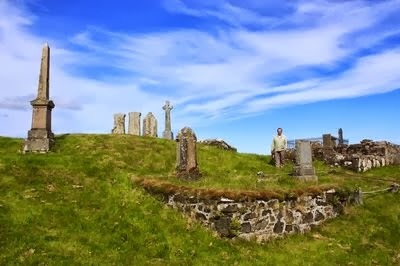 Menefreda is thought to be the Latinised form of the Celtic Minver. 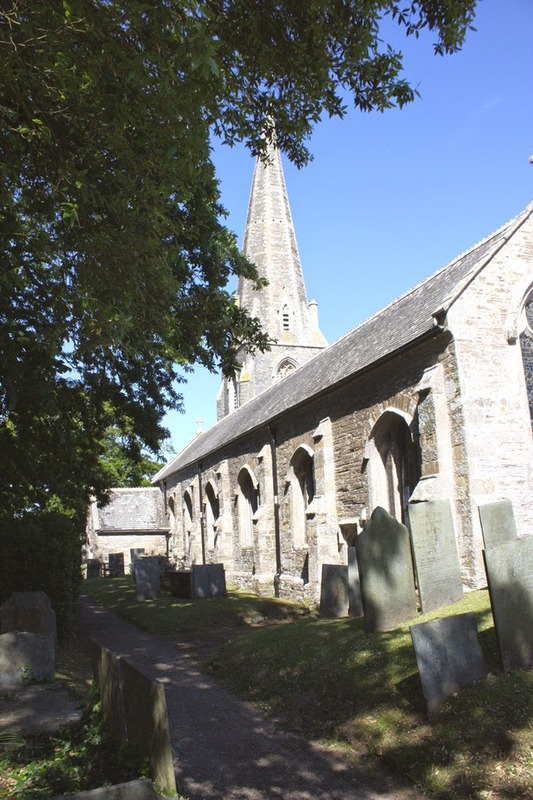 The name change took place when the monks in Bodmin took over the church from the Celtic regime. 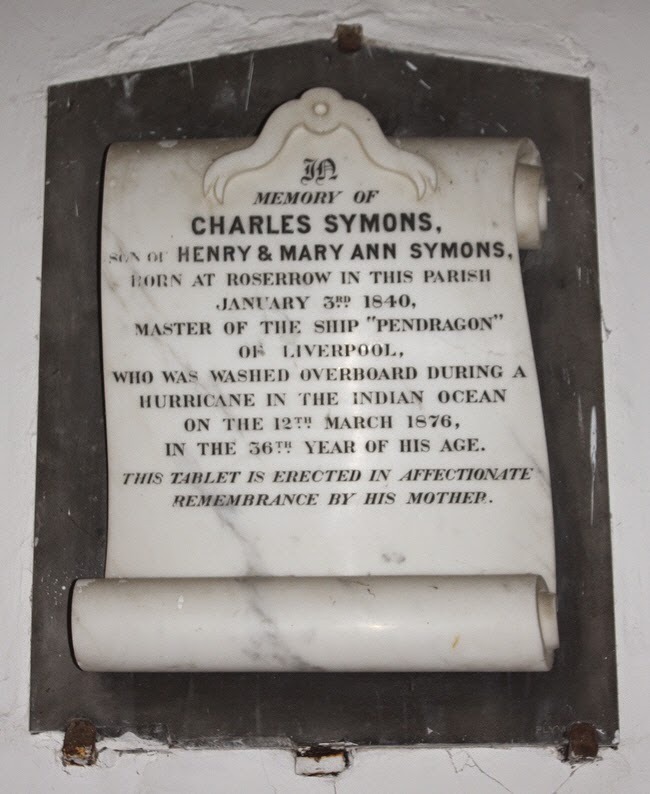 Charles Symons was washed overboard during a hurricane in the Indian Ocean. All my new discoveries are published first on the social history group on Facebook so if you want to keep up to date with what is happening you will need to subscribe to the group by clicking on the link below. Martin, is the computer off? The best 5 word epitaph ever! A policeman killed while pursuing a stolen car. Who was the anonymous "friend" who loved her? A nurse who died in her own hospital, aged 25. How many mistakes can you find on this memorial? Killed on the way to a wedding. Three brothers drowned in an accident in 1967. A bilingual memorial reporting an exhumation.